At a time when so many talented artistes lean towards the prog metal edge of prog it is a breath of fresh air when something just a bit different comes along. 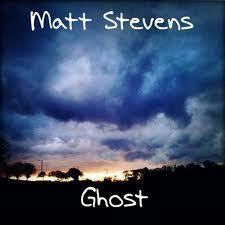 At the present time Matt Stevens represents the antithesis of prog metal. The North Londoner has put together ten compelling tracks that can be listened to whilst driving to work in the car, at low level with yout dinner guest or cranked up for ultimate musical posture on a good hi-fi system. 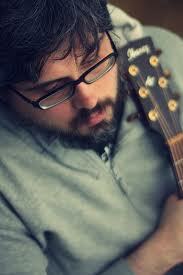 Matt’s tightly strung acoustic guitar eminates a wonderful mood throughout the whole of the album. Cutting through the sparse fragility of mild electronica the crisp almost flamenco stays within the boundries of prog by a hares breath yet never betrays it’s heritage. On many classic albums by the likes of Yes/Genesis et al there is always a diamond little track before launching into an epic. “Mood For A Day” is a good example or Steve Hackett’s “Horizons”. Matt Stevens seems to have recorded an album of such gems. Being as it is an album of the download generation, Ghosts would be missing the splendor of it’s chic artwork and packaging should it be purchased as a download. However, the music is enough to stand up on it’s own without such candy and artistic luxury, it’s worth spoiling yourself though. Opening with “Into The Sea” Mr Stevens slight of hand with regard to his chosen weapon is evedent from the outset. Both Matt’s appearance and technique point towards early Genesis though the overall sound is more contemporary. I am unsure whether Matt or one of his cohorts are using a pair of spoons for some of the percussion effects hear or utilising technology as part of the backing here. Either way it’s a joy to listen to. “Big Sky” is just that, big and bold. 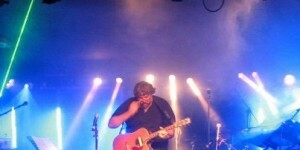 A bit of power strumming to lift the spirit. The tune breezes along into perhaps my favorite piece on the album “Eleven”. One of the few tracks that Matt picks up an electric guitar on. There’s a bit more jiggery pokery going on in the background and it does leave you wanting to hear more. Bass and drums feature heavily on “Draw” thanks to able helper Stuart Marshell with Matt’s chiming guitar sound propelling it along nicely. It’s worth buying the album just for this piece. There seems to be quite a bit going on with this particular track thanks to assistance Kevin Feazey who takes care of programming, keyboards and suchlike throughout the whole album. Moving on to “Burnt Out Car, this really is the bed of Prog with nice clean sheets on it. Fresh, lively and open. In contrast “Late Man” returns to the darker side of things which i simply adore. Matt Stevens has atalent for timing and intrigue, this tune oozes private detective at me. Wonderful stuff. “Glide” is yet again bright and breezy as wash day. Matt’s use of Glockelspiel is a subtle touch and lightens the whole piece, just as it does elsewhere on the album. Keeping in the same vein “8:19” lays bare just where Matt has drawn his influences from. Another gorgeous, crisp soundscape bathed in effects pedal and/or ebow backing. Mmmm, where have i heard that before? Some interesting percussion sounds too. The tilte piece “Ghost” is a sinister very dark offering which i fear may have repeated it’s main theme to often and i have to confess to not enjoying it as much as the rest. However, this is down to my own inability to cope with repetition and could well be more enjoyed by others. Concluding “Ghosts “is “Moondial”. A gentle melody re-introducing the glockenspiel and drums which round off what i would suggest is a must have album. Yes, it really is that good. Want something different in the prog genre? ghost might just be the ticket. Treat yourself.